Fàilte dhan làrach-lìn airson ‘Eilean Bheàrnaraigh-A’ Cumail ar n-Eachdraidh Beò'. Fhuair Comann Eachdraidh Bheàrnaraigh taic-airgid bhon Chrannchur Nàiseanta airson a’ phròiseict seo eadar Am Faoilleach is an t-Samhain 2013. B’ e prìomh amas a’ phròiseict cuid de na seann ainmean-àite Gàidhlig ann am Beàrnaraigh a chumail beò leis a bhith cruthachadh chuairtean ann an Siabaigh agus ann am Besdaire. Cha b’ urrainn dhuinn am pròiseact seo a dhèanamh gun taic bho Chomunn Gàidhlig Inbhir Nis agus bho dhaoine eile. A further piece of work on Berneray place names, which may be of interest, has been carried out by Siùsaidh Hardy. The link to the work (in Gaelic) is here. Welcome to the web pages for ‘The Isle of Berneray - Keeping our History Alive’. 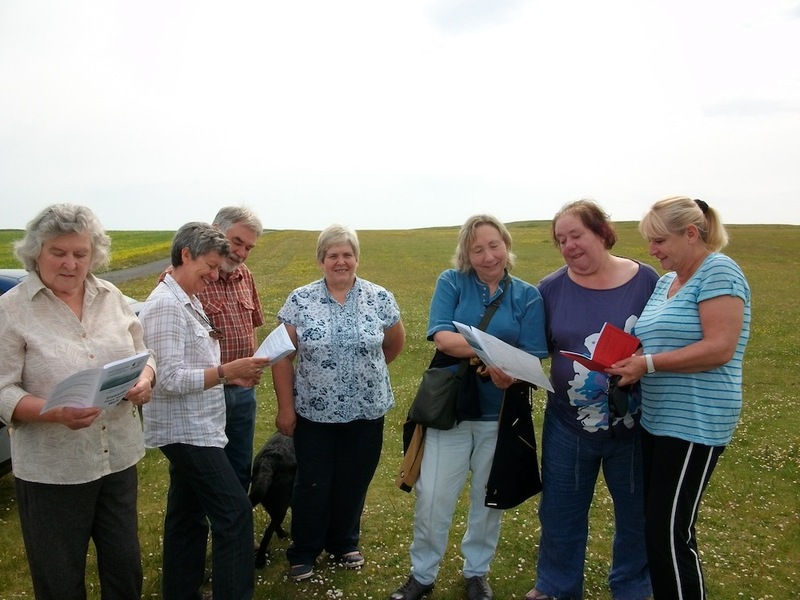 Berneray Historical Society received funding from the Heritage Lottery Fund for this project between January and November 2013. The main aim of this project was to preserve some of the old Gaelic place names in Berneray by creating walks in Siabaigh and Beasdaire. We couldn’t have done this project without support from Inverness Gaelic Society and many others. Following the work of this project, the Society has produced a new leaflet which details the two historical trails - Siabaigh and Beasdaire. The leaflet is available in a pack with a newly-reprinted version of The Placenames of Berneray by John Ferguson and Donald MacKillop, originally submitted to the Gaelic Society of Inverness in 1983. The two items, together with practical information for walkers, is available in a weatherproof folder at a cost of £7 + postage. The leaflet can also be purchased by itself for £1 + postage. These items will be available for purchase from The Nurse's Cottage in Berneray next summer. In the meantime those interested should email info@bernerayhistorical.com. It is intended that this site will in due course feature an e-commerce facility which will enable these items and others to be made available for purchase online.